Well....we are nearing the end of August already, and I have spent most of it in the garden. This months challenge was left so long that I am lacking in imagination. But, I did it...lol!!!! This month, we had Angela Walters as our professional...she is just sweet! 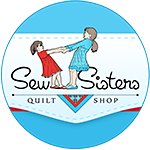 Now, we had options again, and I chose the option of Angela's Dot to Dot Quilting class which I took on line. This is a very basic example of the class in whole, and you could add so much more fillers here. I intended to add more to this, but my beans were calling me...lol. enjoy the challenge everyone,and thanks for visiting. 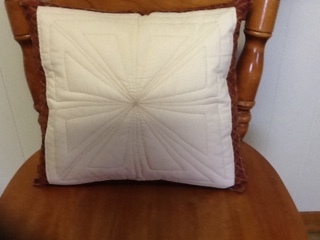 Beautiful pillow Marjorie! 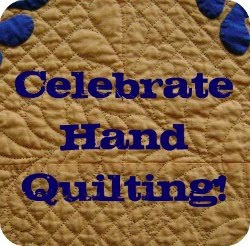 I have that class too......just need to make a pillow or.....two! awesome pillow I too have the class and it is on the to do list ... shortly. 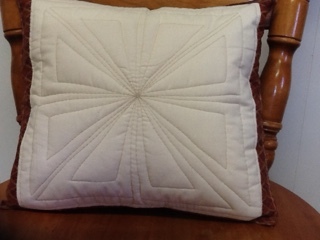 I like the idea of making the pillows with the challenges ... a nice size to work with and try out the months lessons. Actually, that is very cool...just saw a pillow at the local shop which had similar simple lines, except theirs was smaller and had an all over diamond shape. Nearly took that idea, however then went with something else.